I am an emotional cabbage. Nici nu ştii cât de adânc te prinzi! it’s all windy outside and inside. I’m not a vegetarian, though people often say I look like one because I like cotton, linen and flat soles. I’d wanted a sheepskin ever since Cătălina had left. I lived close to the center in Arad, in an old house heated with firewood. I lived alone, so no one ever made the fire. When I looked for a place, one of the many people I’d asked was a TV repairman. I really wanted to live in one of those old houses falling apart, in the center of town, rather than in an apartment block on the outskirts. The TV guy threw me a meaningful glance and said: I could use a woman in the house… make the fire… warm the place up. I remember trying to cut wood with an axe. How good could a TV repairman be at splitting logs? His house was full of spare parts. I always passed through a market on the way home, and looked at the sheepskins yearning for one of my own, but couldn’t afford one. It wasn’t just the heat, it was also the comfort they implied. A soft, fluffy life. Three years later, my parents came to visit me in Amsterdam. They brought me a sheepskin. My mother had noticed me staring at them whenever I went home and joined her at the market. My brother commented on a facebook photo where a corner of the skin was visible: „Is that the skin of a dead animal?“ In Romanian it sounds even worse, „pielea de la o oaie moartă”. Not that he were a vegetarian, but he loves teasing. 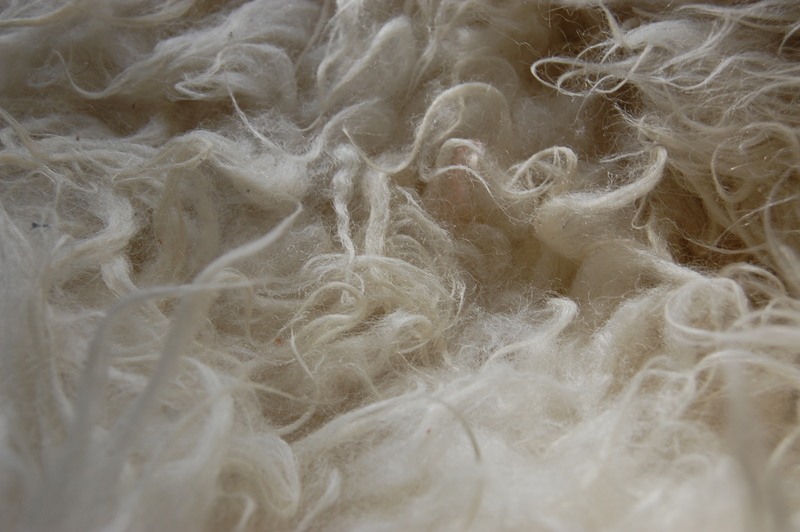 I never think of the sheep or the sacrifice, I focus on the softness and the warmth. Things like this remind me of Ira. The sense of humor I learned from her, an Ira that disappeared, sunk into comfort far far away.